 When combined with the skill, experience and commitment found at South Shore Dental, today's advanced dental treatments and materials can make a real difference to your health. By using a combination of scientific technology and the artistry that comes with years of experience, our team can redesign your smile. Not every procedure needs to be particularly invasive, as we know even a subtle change in your smile helps you to project an image of self-confidence. Contact our team to schedule an appointment and learn more about your treatment options. Speak to our experienced dental team.